Our internationally trained leather specialists comprise our research and development team, creating new looks and styles in the lab and tannery. 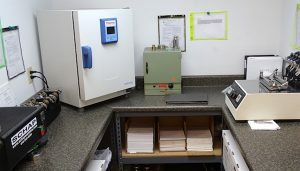 We also have dedicated on-site testing laboratories, where new formulations are sampled and evaluated, by hand and by machine. We use the latest tanning technology to create state of the art finishes, sourced from across the globe. Yet some of our leathers are produced one at a time, with the human touch of a skilled craftsman. Known for our high quality, Leather Miracles leathers range from natural, soft, naked leathers, hand antiqued looks, and pull-ups to the more traditional two-tone or solid, opaque leathers. Leather Miracles has been global in scope since its inception. 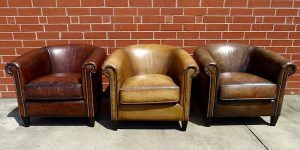 Headquartered in the heart of America’s furniture country, we supply leathers and furniture products from around the world. 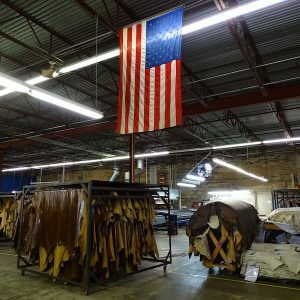 We finish leather at our own North Carolina facility and we have formed strategic alliances with our international suppliers. At all times, our USA- and China-based staff is travelling between our suppliers and factories. We cross the earth from USA to China, Asia, Italy and South America, working with our tannery partners in search of inspiration and new concepts. This worldwide perspective is additionally beneficial as we develop new design strategies with our partners for a growing global marketplace.